Buying Pets, or finding a Farm animal for sale, does not have to be done exclusively at a local pet store anymore. You can buy or sell animals for sale online safely and easily right here through the Wand Ad Digest’s Animal Classifieds, and we can help you get started on how to choose the right pet, from the right ad. Here, we shall discuss how to go about searching for animals for sale online – how to narrow your search down, what to take into consideration before buying a pet, how to navigate through wanted ads for pets, and even what type of animal is a good fit for you. We also provide further helpful links at the bottom of this article. Additionally, we cover how to go about selling your pet. At the Want Ad Digest, we do not just cater to those interested in buying or selling Puppies and Kittens; we also provide pet listings on birds, fish, kittens, reptiles, small animals, horses and livestock. Browsing through photos of the pets makes looking for an animal for sale even easier, so you can take a closer look at your potential new best friend. You can better condense the ads you’re looking at by checking out our subcategories at the top of the page – you don’t need to look at ads for gerbils and hamsters if you know you want a dog. Of course, when browsing our animal classifieds, remember that you can not only narrow your search down in terms of what kind of animal for sale you are looking at, but that you can also search in terms of location. 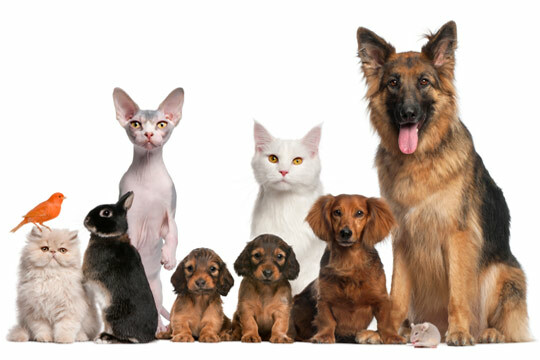 For instance, some popular searches in our system include the following: “puppies for sale Albany NY,” “puppies for adoption Albany NY,” “Dogs for adoption in Albany NY” or “Dogs for sale in Albany NY.” You can also get more specific with a search like, “Yorkies for sale in Albany NY;” you can also try a broader “pets for sale in NY” or “pets for sale NYC” search. Finding animals for sale online is easier through the Want Ad Digest, where you can browse pet want ads by animal, by location, and by which ads are the most current. Let us examine what to consider before buying an animal for sale through wanted ads for pets – know your responsibilities before taking on a new pet. The main factors to consider are money, time, commitment, location, and family. Taking on a pet is often synonymous with adding another person to your family – it is important to take a realistic look at your budget and be able to factor in food, shelter, toys, medication, and vet bills.With regard to time, what is your work schedule like? Do you travel a lot? If so, make sure you have a trusted and reliable person to care for your animals while you are gone. Buying an animal for sale can be a very long term commitment; dogs and cats can live up to 20 years or longer, rabbits can live up to 12 years, snakes can also live a long time, and so forth – be aware of this before purchasing. Additionally, it is important to take a look at your location. If you live in a community neighborhood where you can walk a dog on a regular basis, a canine friend may be the ideal pet for your lifestyle. However, if you live in an urban environment where parks or fields aren’t available, you might want to search for cats or reptiles among animal classifieds. Perhaps most important factor of all is your loved ones: what kind of pet to get should fit into you and your family’s lifestyle, and it should be a family decision.On the other side of things, if you are someone wishing to place an animal for sale through wanted ads for pets, you need to be sure you are providing potential buyers with all of the pertinent information. This includes the animal’s gender, age, color if applicable, and if it all possible at least one decent photo. If the animal is a registered purebred, be sure to mention this in the ad. If you have paperwork, such as medical history documented, include this piece of information as well. People who are trying to find an animal for sale online want as much data in advance as possible, or they may simply move onto the next seller to buy their pet. It is your job to arm these people searching for a pet with all the tools they need to buy your animal for sale, including your contact information. There should be a mutual understanding between the seller and buyer of the pet that the animal will be moving to a safe, loving home; these are the kind of transactions we facilitate here at the Want Ad Digest.